Insects are perfect specimens to examine closely under the microscope. Typically a low power stereo microscope is best for viewing insects because it will provide a 3D image. 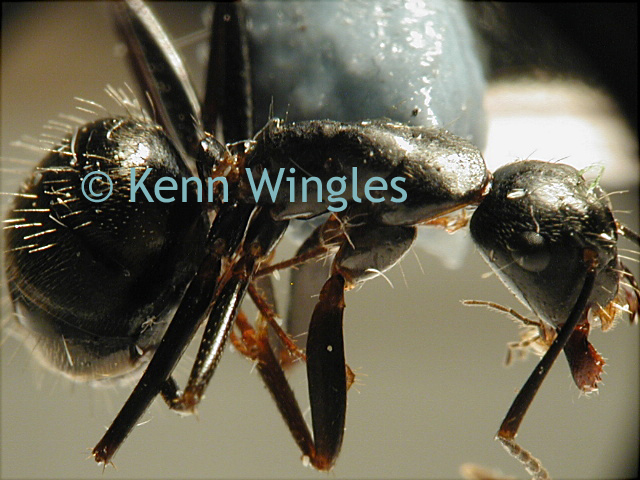 Ant as seen under a dissecting microscope. 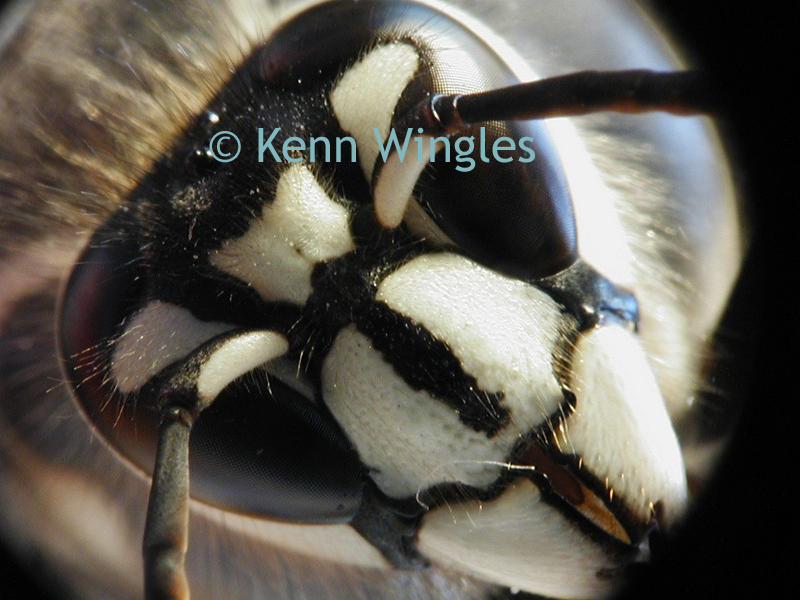 Bald faced hornet under the stereo microscope. Once you view the insects under a dissecting microscope, you may wish to view more details of a specific part of the insect. If this is the case, you will need to dissect the insect and prepare a slide. This will allow you to view a flat specimen under a biological microscope, which has more magnification. You also need to prepare a slide because when using a biological microscope the specimen must be translucent (allow light to pass through it). A stereo dissecting microscope has light above and beneath the stage, whereas a biological microscope only has light that shines up from beneath the stage. Prepared slide of a bee under a biological microscope captured with the DCM2.1 microscope camera. 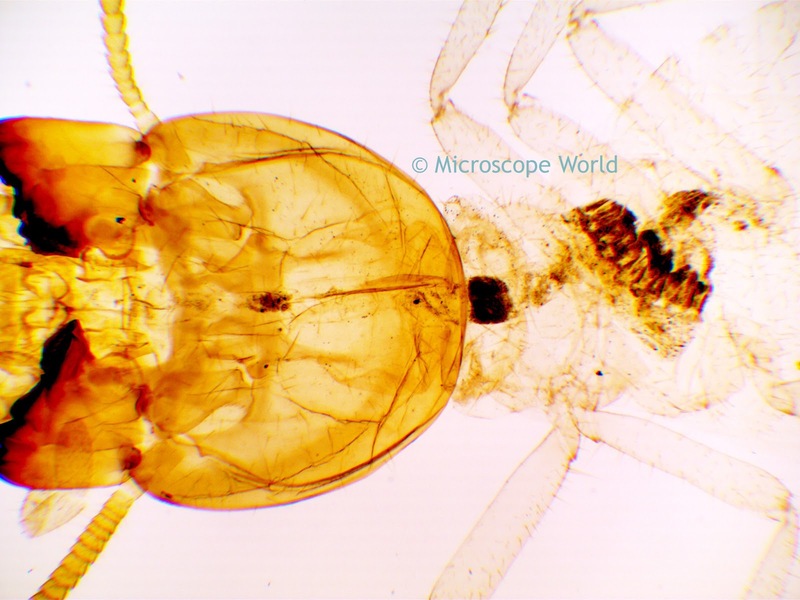 If you are just starting to view insects with the microscope and only have access to one type of microscope, it is recommended to start with a basic dissecting stereo microscope, as these are easier to view the entire insect at once and do not require slide preparation.